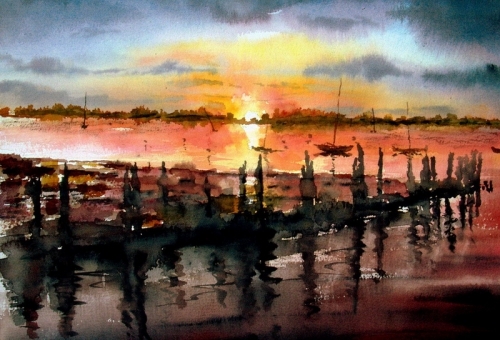 Artist Lorus Maver (Bilbov), United Kingdom. 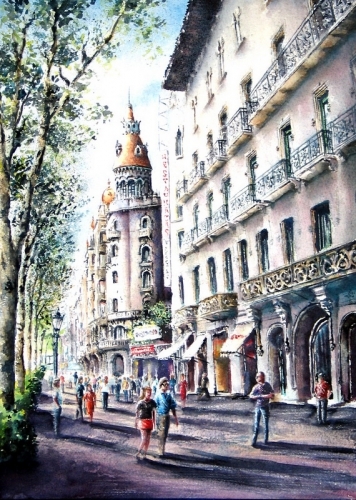 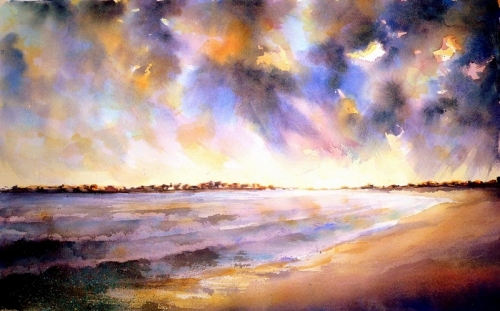 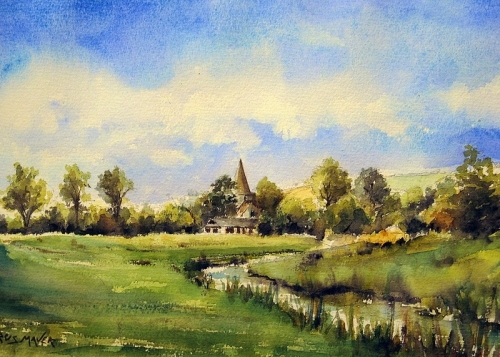 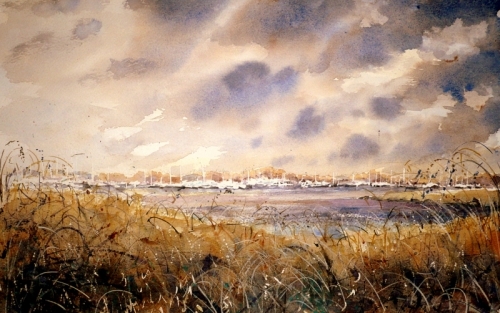 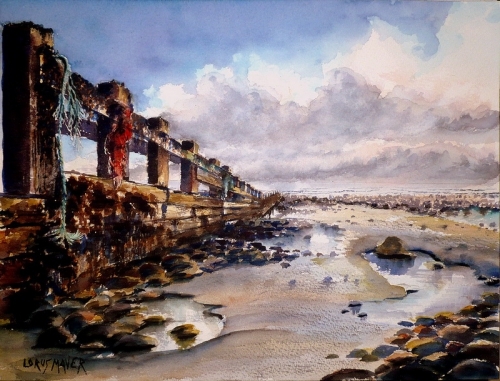 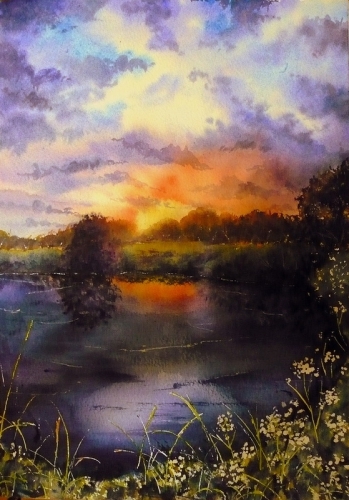 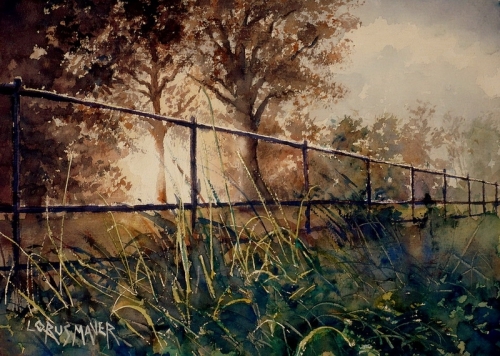 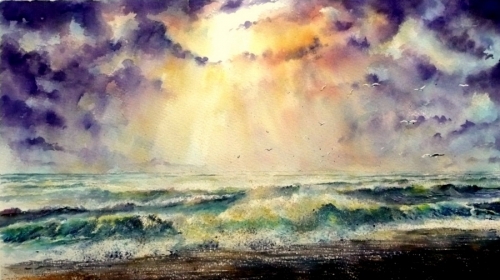 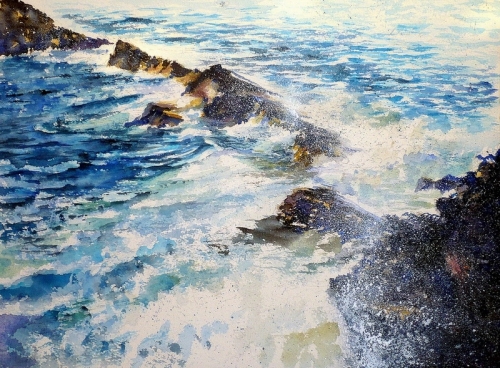 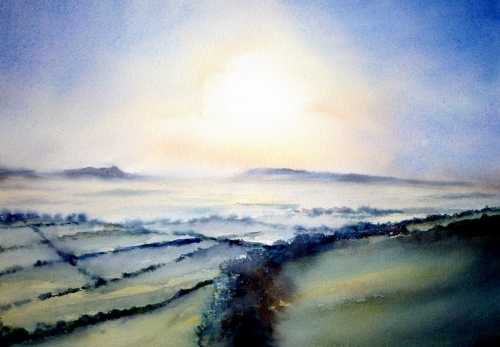 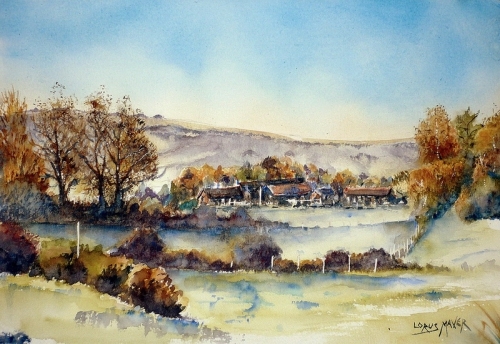 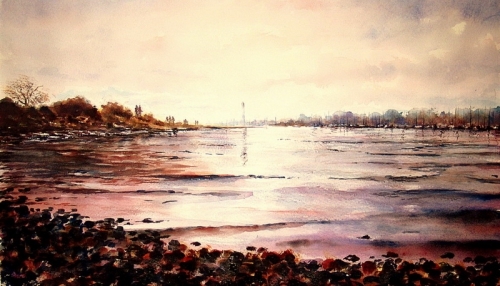 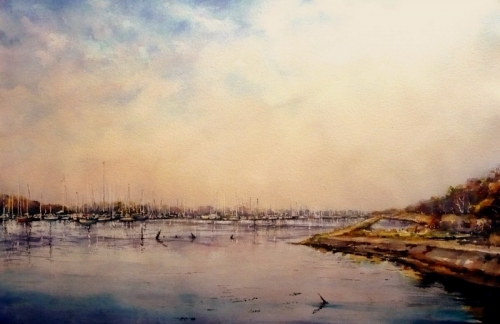 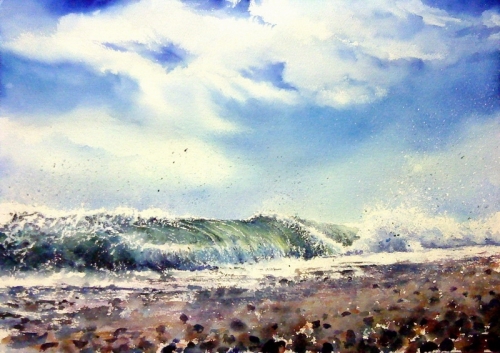 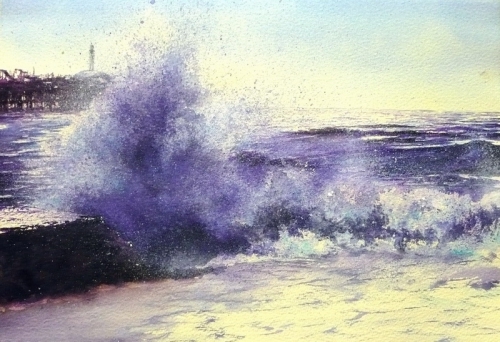 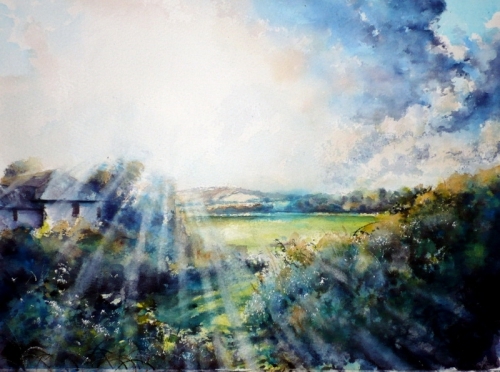 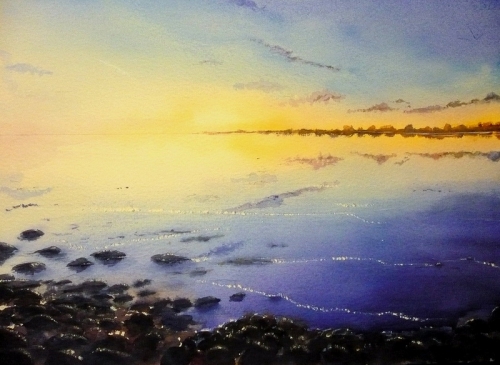 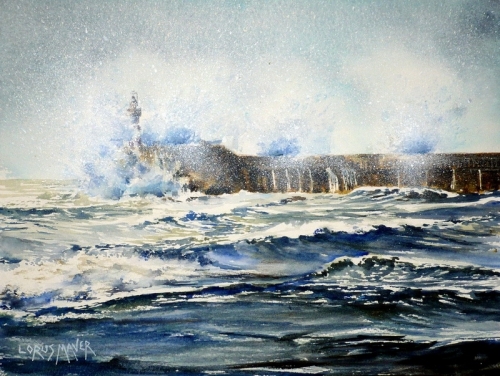 For the past 29 years, he is interested in watercolor painting. 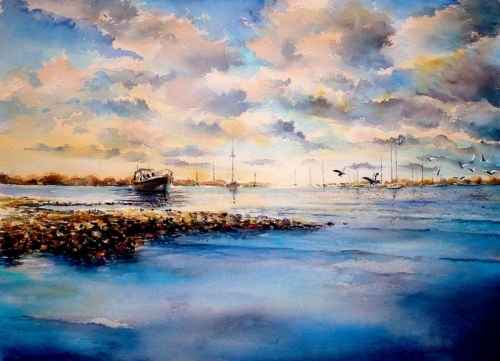 He writes in various genres, favorite themes: landscape, seascape, flowers. 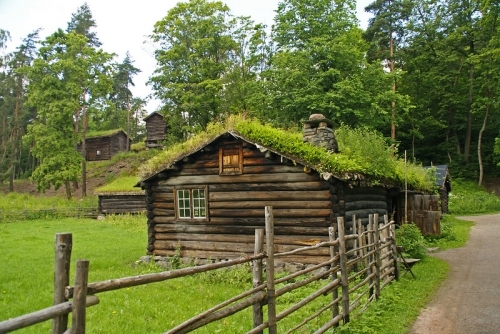 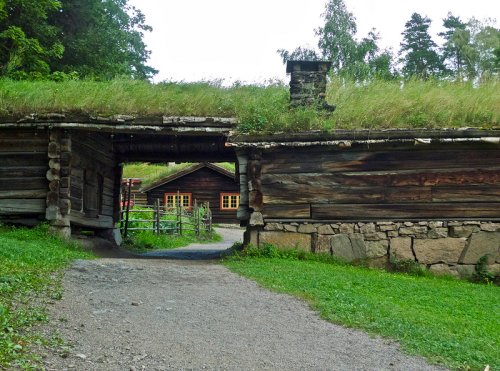 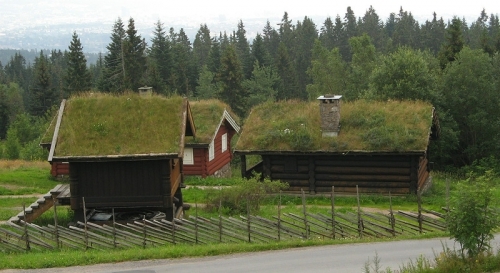 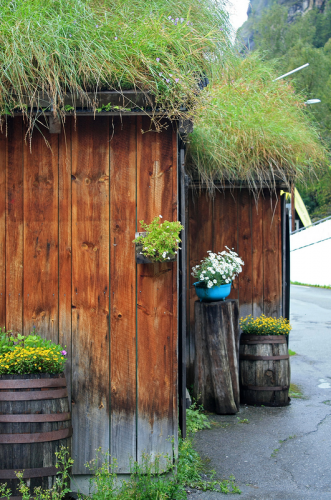 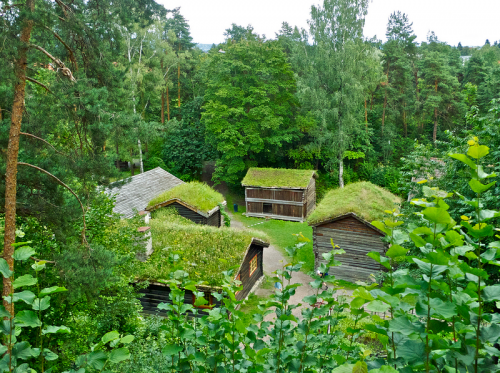 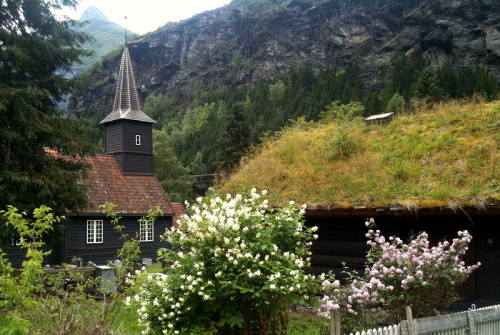 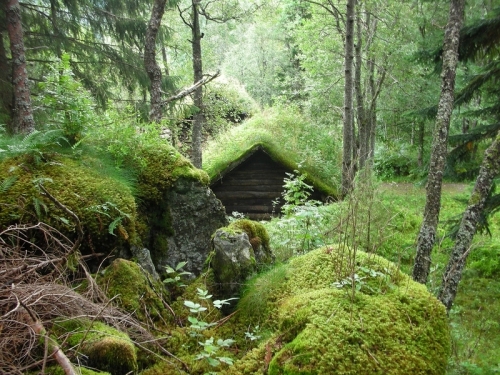 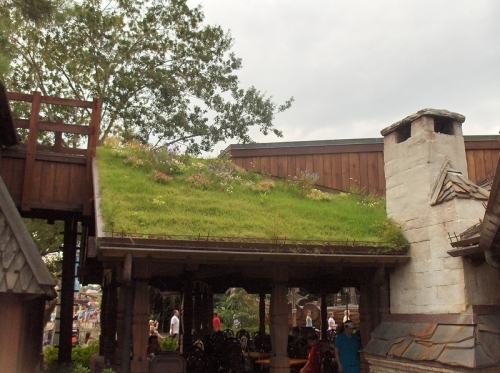 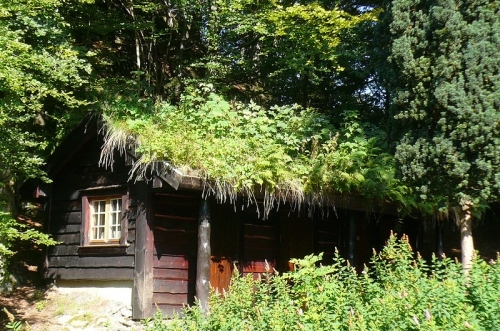 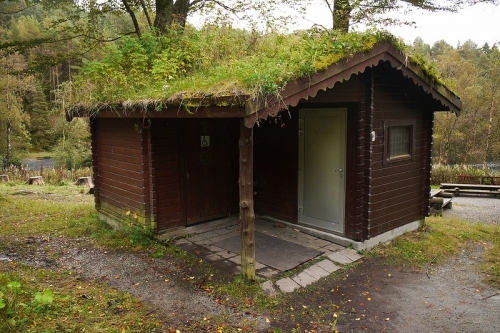 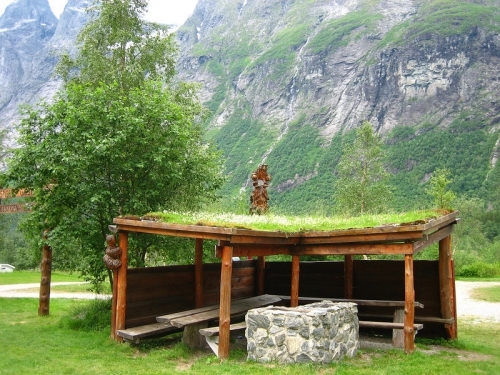 "Herbal roof in Norway have been used for centuries. 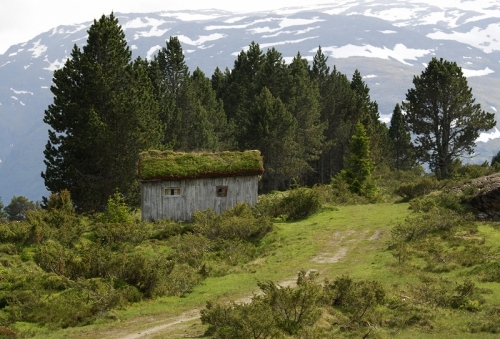 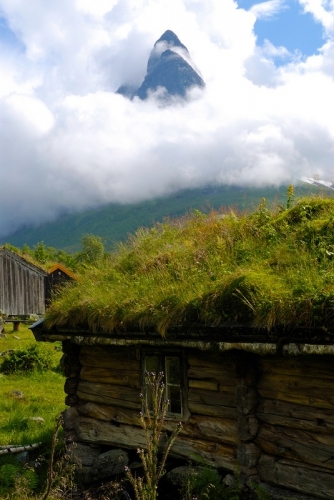 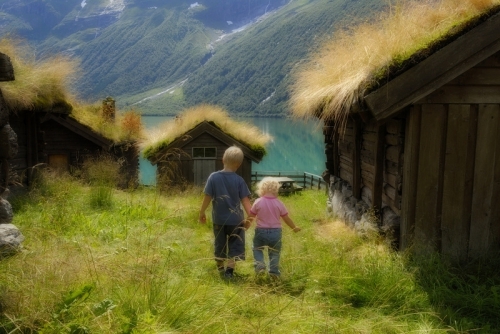 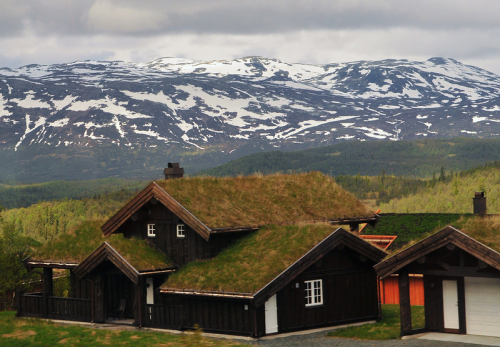 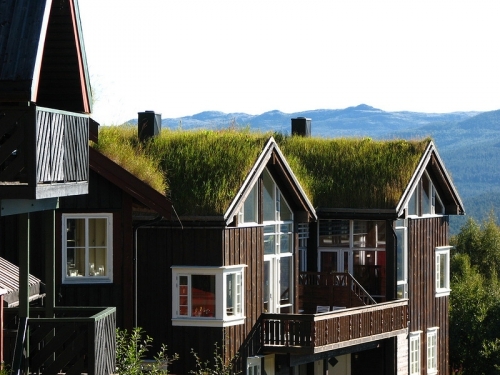 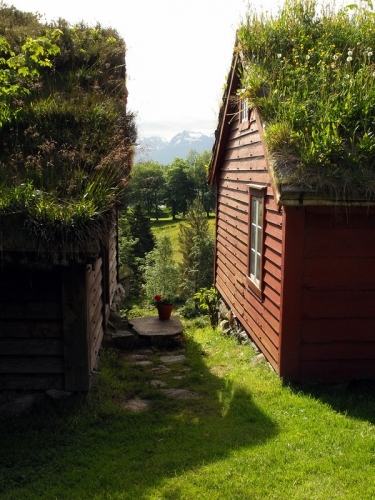 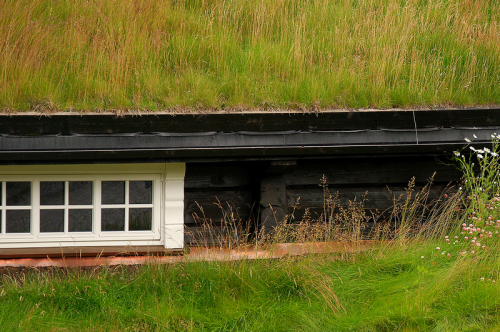 Green roofs in this harsh northern country - a tradition inherited from their ancestors. 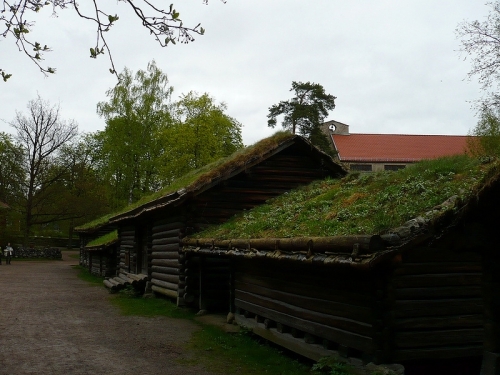 Since ancient times, the roofs of the roof from the peoples of Scandinavia, was made of peat, turf, birch bark and other natural, environmental, as it is now would say materials. 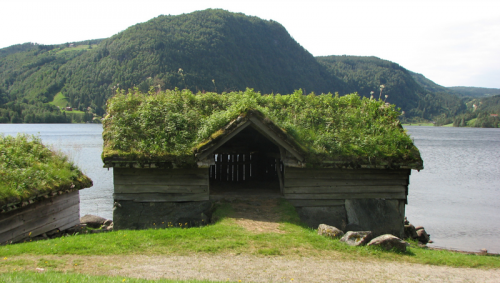 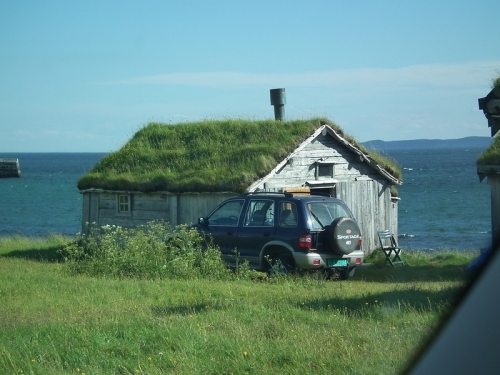 Norwegians are descendants of the glorious Viking appreciated and managed to keep to the present day green roofs on their homes. 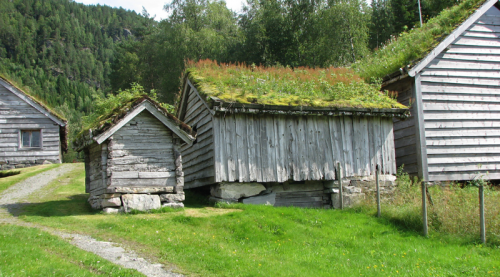 Dern almost to the beginning of the nineteenth century was the universal material for the roof of roofs in the homes of all classes of Norway. 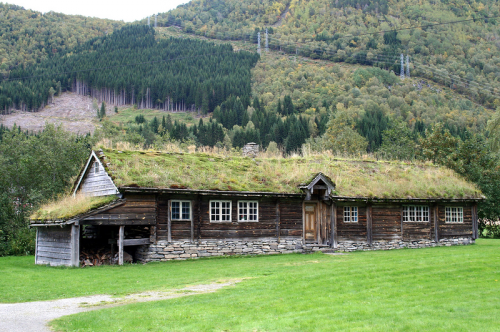 The appearance of the tile, and then slate and other roofing materials gradually began to displace the traditional Norwegian environmental, beautiful and lovely grassy roof. 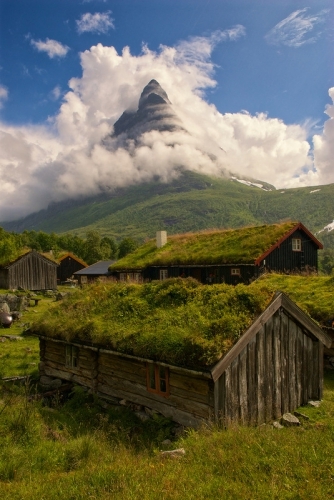 "The advance of civilization" began with the city, but eventually reached and the countryside. 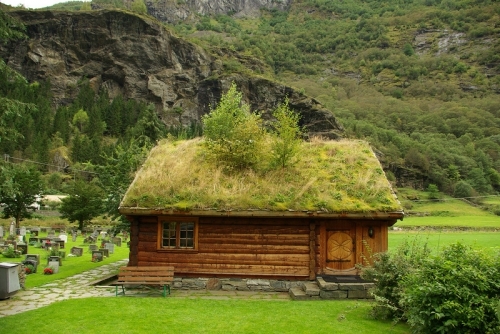 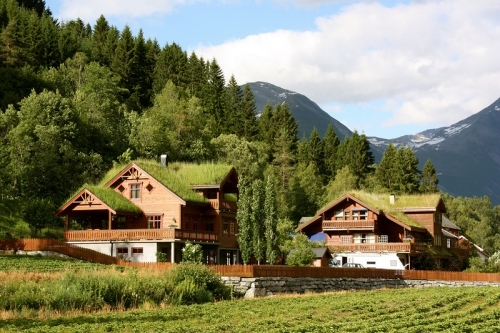 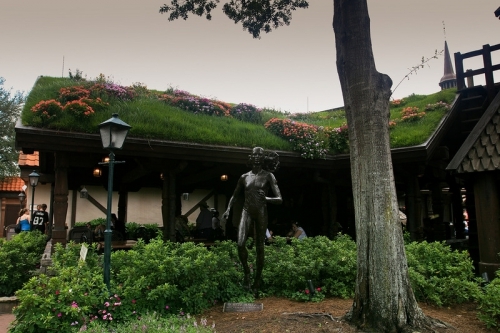 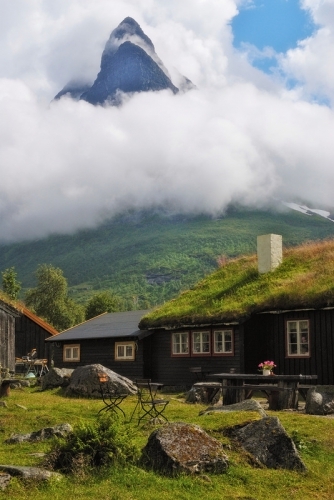 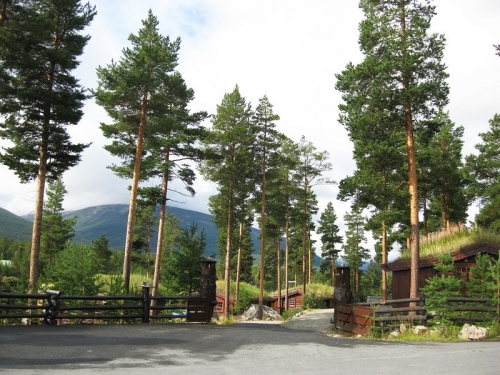 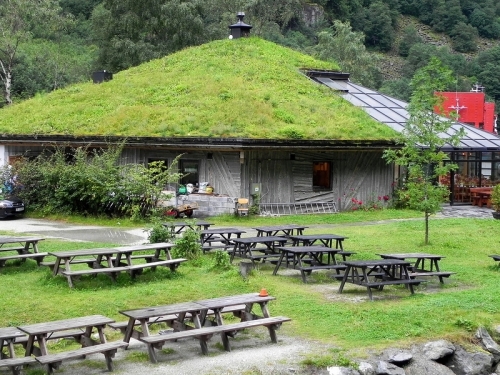 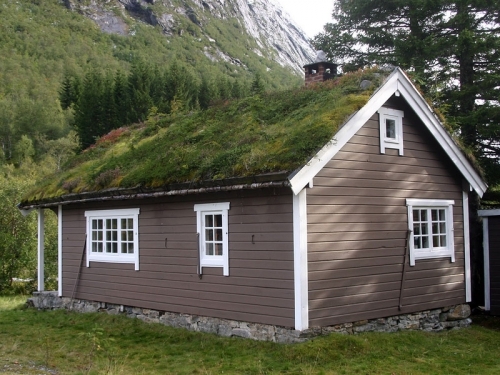 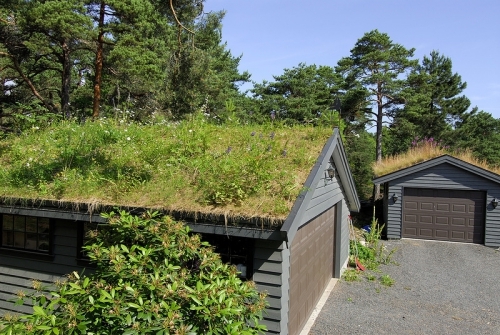 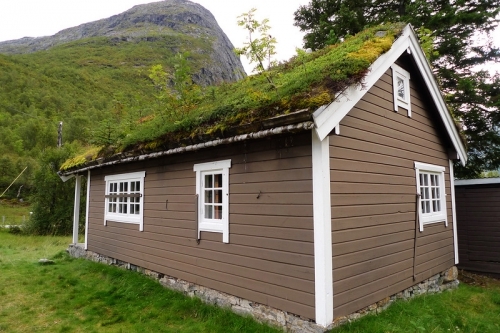 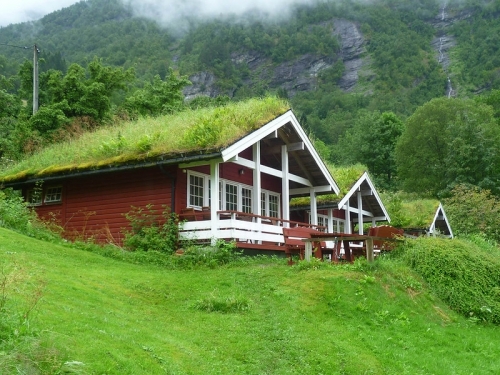 From the complete disappearance of green grass roof of Norway enthusiasts rescued romance! 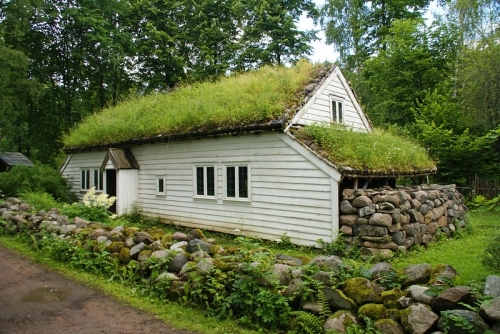 They started and headed a movement aimed at reviving the ancient folk traditions. 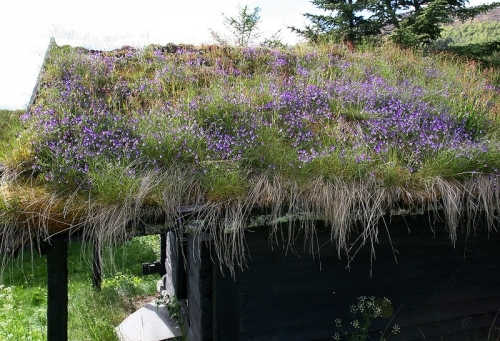 First, open-air museums, holiday houses in the mountains ... and then the green roof of grass and flowers once again become a popular and trendy. 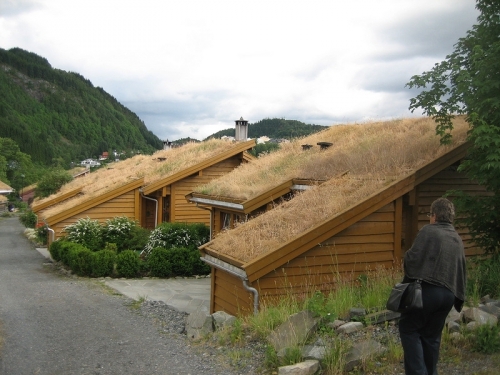 After all, in addition, that such a beautiful roof roofs and aesthetically pleasing, it's pretty cheap, durable, stabilizes the temperature in the house, it improves the microclimate, providing reliable heat and waterproofing. 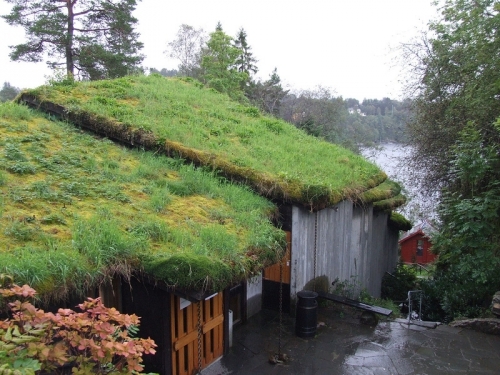 Thus, green roofs have become popular again, and, thus, become a viable alternative to new building materials. "